Incorporate a dazzling counter stool into your kitchen thanks to the Barclay Counter Stool. This deluxe counter stool offers nylon cord seating that delivers an unbeatable blend of comfort and style. 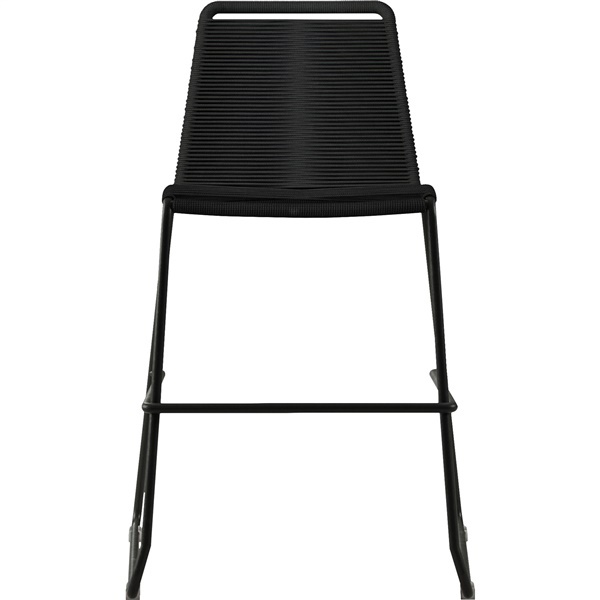 Also, the counter stool boasts a stunning black powder-coated steel frame that provides immense support and is stackable for easy storage. Reap the benefits of an awe-inspiring counter stool with the Barclay Counter Stool. UV-coated nylon cord seat is both comfortable and durable. Black powder-coated steel frame offers tremendous support. Frame includes footrests for added comfort. Comes in multiple eye-catching colors. Stackable design makes it easy to store the counter stool. Have there been any complaints of the nylon cord stretching over time with use? There have been no complaints of the nylon cord stretching over time. The Barclay Counter Stool is also backed by a 1 year warranty against any manufacturing defects. Is there a weight limit for this stool? The Barclay Counter Stool is rated for use up to 250 lbs.